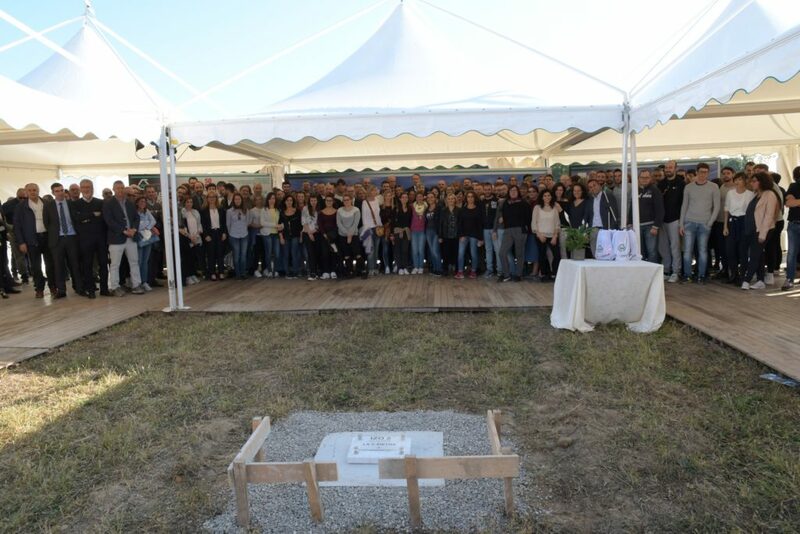 On the 4th of October 2018 IZO celebrated its 50-year anniversary in Chignolo Po, Italy, with the laying of the first stone of the extension of its production site. IZO has grown significantly over these 50 years and has built extensive experience in the production of livestock vaccines and pharmaceuticals servicing both the domestic and global market. “IZO’s growth as a production facility has been made possible by our dedicated teams who work each day to develop and produce the highest quality products”, Massimo Chiarini, Managing Director IZO, said. The extension of the current facility is needed to fulfill the growing demand for high quality products in the future. IZO was born as a pharmaceutical company in 1968 after a spin-off under the name “Instituto Zooprofilattico Sperimentale”. IZO was privatized in 2008. In 2013, IZO moved all the industrial operations from Brescia to Chignolo Po. In the same year IZO also obtained its GMP certification. In 2014 the ownership of IZO changed a last time and IZO became part of the Vaxxinova Group. Being integrated in a global operating animal health company gave IZO the possibility to grow its international business in both live and inactivated vaccines and veterinary drugs for livestock animals at a fast pace.